"Tired of being overwhelmed by marketing advice? 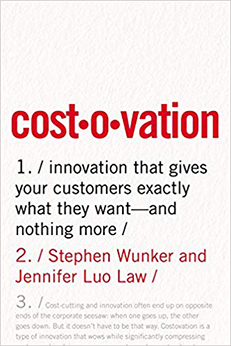 Customer, LLC: The Small Business Guide to Customer Engagement & Marketing" was written to help small business owners break up with overly complicated, time-consuming, and distracting marketing advice. “Customer LLC” provides a simple perspective that can organize all of your marketing strategies into a powerful plan that will give your small business a realistic, but powerful advantage without breaking your budget, to-do list, or stress level. Customer LLC: The Small Business Guide to Customer Engagement & Marketing is designed for small business owners who want effective marketing that doesn’t feature a call to action on every single social media channel or online outlet. It redirects attention away from the distracting chase of higher social media numbers (without the accompanying increase in revenue) towards a more comprehensive and budget-friendly system that helps small businesses connect with customers on a deeper level in the era where customer loyalty can change with a click. What is Customer LLC About? Customer LLC wants small business owners to stop chasing Facebook Likes and Twitter Retweets. It offers recommendations for marketing strategies to hold a customer’s attention beyond a momentary click. Small businesses, author Hilary Berman suggests, should focus on their distinctive area of expertise, customer expertise. While big businesses, like Amazon and Google, can collect boatloads of data on customers, they can’t match the unique experience and relationships offered by a small business. 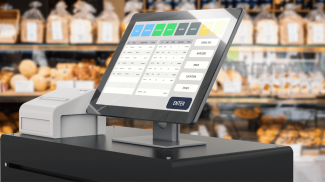 This distinctive combination of customer expertise and relationships mixed with technology is the key to small business competitiveness in Customer LLC. For small businesses to leverage their competitive advantage, they need to use their marketing resources (money, time, ideas) effectively. Using these resources effectively requires small business owners pay attention to their customers and allow this relationship to direct their efforts. Instead of placing all of their bets on time-consuming or expensive marketing campaigns, small business owners should invest their primary efforts in becoming “customer-centric”. Customer-centricity, as defined in the book, is a whole-business approach that focuses on optimizing the entire customer experience rather than aspects of it. For example, a restaurant that engages its Twitter audience through coupons but then charges them for parking would not fall under the category of customer-centric. Customer LLC helps small business owners take a look at all of the traditional marketing advice (social media, newsletters, etc.) to see if it applies to small businesses in the same way. 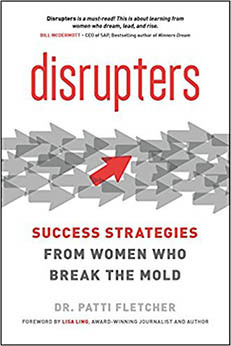 Small businesses don’t have the same resources as a large business, the book argues. A small business isn’t left hopeless, however. It can tap into its greatest asset (customers), however, and achieve a closer and more fulfilling relationship than a large business ever could. Berman is the founder of Popcorn and IceCream, a business providing marketing consulting for small businesses. Berman graduated from Syracuse University and began her career on Madison Avenue. She is the mother of three budding entrepreneurs. What Was Best About Customer LLC? In a confusing (and growing) wave of marketing advice, Customer LLC offers a beacon of hope for small business owners. The distinctive factor in this book is that the author tackles a big chunk of marketing advice from a small business owner’s perspective. Instead of focusing exclusively on social media or advertising, the book delves into the underlying principle behind it all. In other words, Customer LLC is designed to help small business owners, no matter what technology or type of marketing is popular at the moment. That is a definite plus because many small businesses fear getting left behind. Customer LLC is not designed to be a comprehensive marketing guide. Instead, it is designed to demonstrate how small businesses can use a specific strategy (customer centricity) to gain and maintain a competitive advantage. It is not designed to provide an in-depth guide to each section. A brief look at Chapter 21 (“Pay for Play”) would show this. The chapter, which covers advertising, trade shows, community events and sponsorship, introduces the topic but does not even come close to digging into the resources or strategies for getting started. The point is to introduce readers to the various options available. 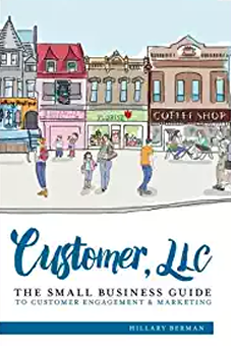 Customer LLC is the perfect book for the small business owner who knows marketing is important but has no clue about how to tie it all together. Customer LLC demonstrates how one simple approach, “customer-centricity”, can be used in strategies that can fit every single budget, whether your marketing budget is zero or a million dollars. It untangles small business owners from the confusing advice and brings marketing back down to Earth. At the end of the day, Customer LLC continually reminds readers, marketing isn’t about the number of Likes you get on a Facebook post. It’s about the amount of revenue that is generated by those customers behind those Likes. I agree. It is not about the likes and tweets. It is about the number of conversions (purchases) you get. Customers are the ones who buy from you. So taking care of them is a must if you want a lasting business. You have to do more than get along with yout customers. You also have to fulfill their needs on a continuous basis. I think that it is about looking deeper into your customer needs and fulfilling them.